Kinea walked in, rubbing the back of her head as she let out a yawn, her ears flat against her head and her tail limp. Kinea saw Tabris and her eyes widened before she ran to him, "What happened!?!" She said pointing at the bleeding stump. Kinea grumbled and decided to leave, slamming the door behind her, "Whatever..." She folded her arms and leaned against a tree. Kinea kicked a tree only to grab her foot, "OW...ow...ow." She sat down on the ground and rubbed her foot. Kinea walked back in the bar but didn't saw a word to Tabris or Lucid as her arms were tight around her, heading to a table in the far back and sat down. “ growls feeling the stump begin to burn from the Azure Energy from Hakumen's blade." Shut up!" He says before standing up looking to Mel." Not good circumstances to talk today..." He says before moving over to Kinea." What's wrong?" Kinea "What happened to you...I thought everything was fine now." She muttered not looking up at him, "I was wrong." She mumbled. Kinea walks in and rubs the back of her head a little since she fell asleep against a tree and now her head hurt. Kinea walked to a table and sat down before she stretched her arms out. Kinea blinked and saw Vali before sipping to him and saw Tabris, "Hey you look better big bro." She giggled. Kinea giggled and hugged Vali back, "Being some part mechanical isn't that bad." She smiled, "At least you have an arm after being so childish." Kinea laid her head on Vali's arm as she watched Tabris, "You really do look good.....brother." She smiled. Kinea smiled and gently held Vali's hand, "You'll find someone Tabris...I know you will." She nodded slowly. Kinea giggled at hearing Vali before looking at Tabris and frowned a little as she stared at the floor. Kinea started to pant and come to a stop, her breathing heavy since she had ran about 15 miles in her human form. "N-new...record." She panted before walking into the bar, her heart rate still racing as she tried to breath normally. Kinea giggled, "No I ran...15 miles without stopping." She looked and Vali and smiled a little as she held onto Tabris a little. Kinea walked in, her hair wet as she ran her fingers through her hair, humming to herself as she sat at a table, her wolf ears twitched at the noises in the bar as her tail swayed. Kinea giggled and looked up at Tabris, "I went swimming with Emiko's son." She smiled as she kept running her fingers through her hair. 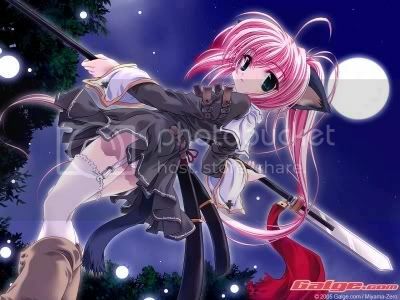 Kinea sighed as she leaned against a tree, closing her eyes a little.